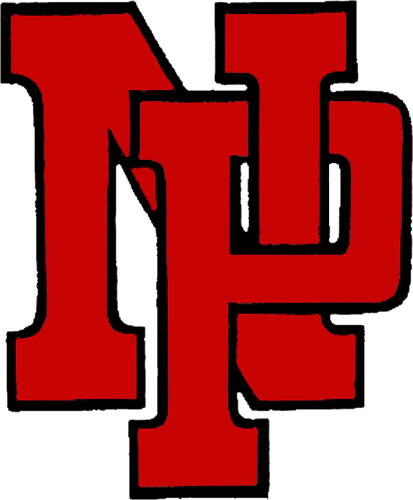 The New Palestine cross country teams had strong performances Saturday at one of the state’s biggest meets, the FlashRock Invitational at Northview Church in Carmel. The Dragon girls competed in the championship division, featuring 15 of Indiana’s elite teams. NP finished sixth with 201 places. Carmel, Carroll (Allen) and Zionsville took the top three spots. Sophomore Brenna Shaw led the Dragons with a 24th-place finish (19:57.92). Freshman Emily Adam was 42nd (20:37.49). Senior Victoria Crowder placed 49th (20:48.42). Sophomore Kendall Mann was 52nd (20:50.50), while junior Kaylin Casner was 61st (21:11.51). Phoebe Bates of Carmel won with a time of 18:09.25. The Dragon boys finished second in the invitational division, placing two runners in the top 10. Seniors Drew Austin and Josh Collins led the way finishing fifth and sixth. Austin ran 17:05.22, Collins 17:15.09. Junior Devon Whitaker was 15th with a time of 17:42.61. Senior Kyler Harrison was 26th (18:08.59) and senior Caleb Stirm 28th (18:10.04). The Dragon teams are back in action Tuesday at home for the Hancock County meet. 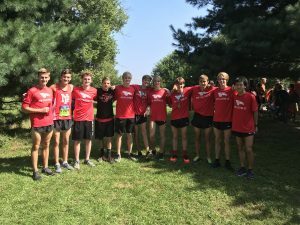 The Dragon boys were runners-up in the invitational division at the FlashRock Invitational.